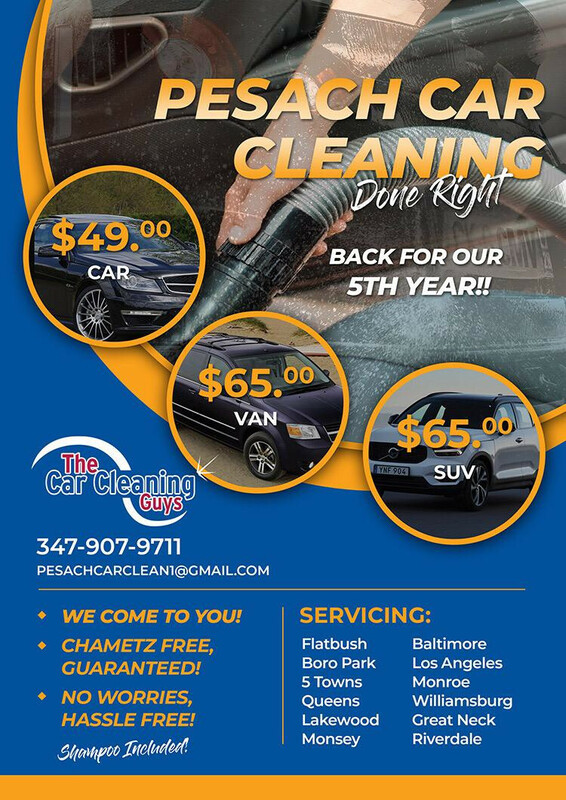 The car cleaning crew has made an easy reservation system by booking online on yeshiva world, by email at pesachcarclean1@gmail.com or by calling 347-907-9711. Save yourself the burden and time, your car and family will thank you! Click HERE to book online.